Whether you’d consider 2017 a year to forget, or one to remember, we can all come together on New Year’s Eve to celebrate the arrival of 2018! From the hottest regional bands at area casino resorts, dinner and live music at your favorite restaurant, or dressed to the nines at a masquerade gala, there are numerous celebrations and special events happening throughout Southwest Louisiana to ring in the New Year. Check out some of the events happening below and let us know where you’ll be counting down to 2018! Ring in 2018 with Bag of Donuts, The Flamethrowers, Band Camp or Prime Time Band; regional favs head-lining Southwest Louisiana’s top casinos. 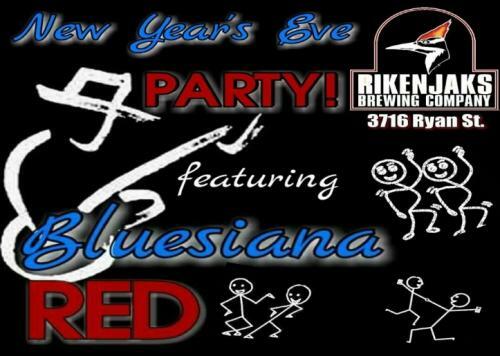 Begin the countdown to 2018 while enjoying several bands and a dj at Sloppy’s Downtown or head over to Rikenjaks for some Louisiana comfort food while listening to the sounds of Bluesiana Red. If you’re looking for a low-key way to celebrate New Year’s Eve, Pujo Street Café is hosting a special dinner that evening, complete with Champagne. For those of you looking for a reason to dress to the nines this NYE, look no further. 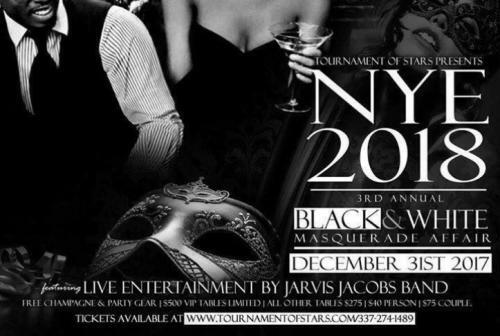 Tournament of the Stars will host its 3rd Annual New Year’s Eve Black & White Masquerade Ball at the Charleston Hotel. 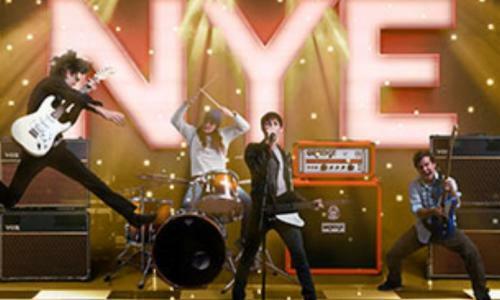 For a more comprehensive list of New Year’s Eve events visit our Events Calendar.